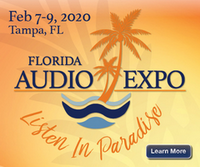 Will you be showing your gear at "The Florida Audio Expo"? That's unlikely, but we'll see how it goes. Don’t wait too long. We only have 1 or 2 rooms left. We are nearly sold out. The Pro iDSD firmware version 2.01 ‘Chilli con Carne’ is a ground-up complete re-write which totally replaced large chunks of XMOS code with all-new in-house developed new one, to reduce resource usage without losing functionality. We wanted the best features for the Pro iDSD, including the full MQA decoder. To make room for the full MQA decoder, the entire audio subsystem was streamlined, optimised and pared down in resource use WITHOUT affecting functionality. The MQA team also worked to maximise the efficiency of their code with hand-written assembler optimisations. That also meant redoing USB Audio, S/PDIF Audio and I2S Audio (for Wifi Module). In addition to the code re-work realized from earlier releases, there was also room for improved usability (hey, Pro iDSD is a very complex product after all), so we stepped up the testing which led to increased time between iterations. As you modify the firmware > you debug > you do limited testing (usually a few rounds in the loop) > you go to formal testing > you list the bugs and go back to the beginning. You get the gist. It took us as long as it took because we want the product to be the best it can be. Nonetheless, we appreciate everyone’s patience! The result? Version 2.01 (to our ears) sounds amazing. Here's the link to the 2.01 FW for our Pro iDSD, enjoy!